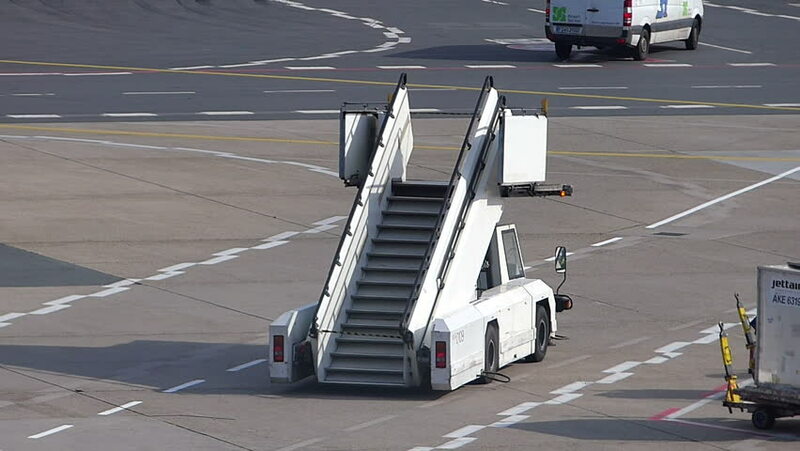 FRANKFURT, GERMANY - JUNE 10, 2016 : aircraft passenger stairs for passengers to walk up the plane when aircraft was parked far from the terminal at the Frankfurt International airport. hd00:09PRAGUE, CZECH REPUBLIC - AUGUST 31 : Traffic road at front of Prague main railway station or praha hlavni nadrazi on August 31, 2017 in Prague, Czech Republic. 4k00:09Israeli police car securing the road before the start of an important event. Tivon, Israel, May 5, 2018. 4k00:11Izmir / Turkey - August, 2018: Grain truck driving on highway. hd00:3013.08.2015 Navigation on the Moscow river.